Ayurveda is the traditional medicine of India and is considered the oldest system of Health Care in the world. Ayurvedic is a system of both preventative and curative medicine, it has been practiced for at least 5,000 years and perhaps as long as 10,000 years. It is believed that the fundamentals of Ayurvedic Nutrition is about the overall health and wellness of the individual based on the delicate harmony of mind, body, and spirit. 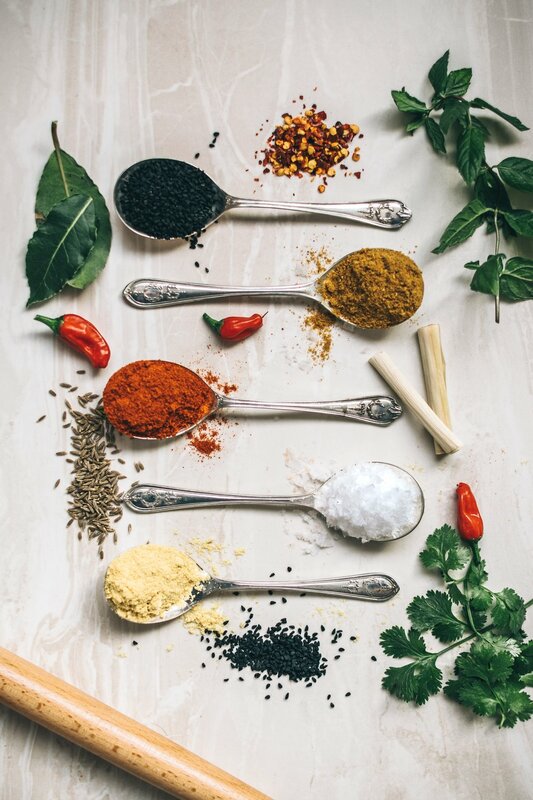 Ayurveda understands that each person is unique and as a result, each person's path toward optimal health is unique. Dr. Halpern often says, "Nothing is right for everyone, everything is right for someone, Ayurveda is a path of understanding what is right for you". Each of us is biochemically different with different hormonal, enzyme, and neurotransmitter levels. Each person reacts to the world in different ways. Ayurveda helps individuals to know what types of food, colors, aromas, sounds and touch will create a state of balance and harmony in the body and mind. When the body and mind are in harmony, normal physiology is restored and healing takes place. Ayurveda defines physiology in terms of three forces called doshas. The three doshas are vata, pitta and kapha. Vata governs the physiology of motion in the body. Pitta governs the physiology of metabolism. Kapha governs the physiology of structure. Each person has all three of these doshas with them. The balance of these three doshas at the moment of conception defines what Ayurveda calls one's constitution or "prakruti". These doshas also fluctuate in accordance with how we live our lives and as they increase or decrease they cause different conditions in the body and mind. This is called "vikruti". The goal of Ayurveda is to restore the proper balance of these physiological forces. This is accomplished by utilizing one's senses properly and living a healthy lifestyle. Ayurveda utilizes diet, colors, aromas, sounds and touch to restore balance. In addition, Ayurveda is one of the most advanced herbal sciences in the world. Herbal medicine plays an important role in Ayurveda. Other tools often used by the Ayurvedic Practitioner include: Yoga, Meditation, Purification Programs (Pachakarma) and Lifestyle Counseling. Shivani offers customized wellness sessions on all aspects of healthy living. If you haven’t heard of Ayurveda, but want to know what exactly is all the fuss about see below. What does it mean to live an Ayurvedic lifestyle? Living an Ayurvedic Lifestyle has tremendous health benefits and is easy to incorporate once you understand the fundamentals for this health and wellness approach. How to find your dosha and learn to THRIVE with it. Getting to know and appreciate your dosha is the key to knowing yourself; your limits, your strengths and workarounds for when you feel you’re not thriving. Learn how habits can result in a shift within yourself and how that can lead to disease. More importantly, learn how to incorporate habits that prevent disease.